Merry Meet friends! I can’t believe that the Solstice is just a few days away and Christmas right behind! I’m not as ready as I’d like to be. Some shopping yet to do, grocery and gifts, and lots of wrapping to do! But my cards are done, most of the shopping is done, menu is planned, some cookies have been baked and I’ll hopefully get my altar done this weekend. I need to pick up a couple more things for it. I have been pretty under the weather for too many weeks, and that is slowing me down quite a bit :(. 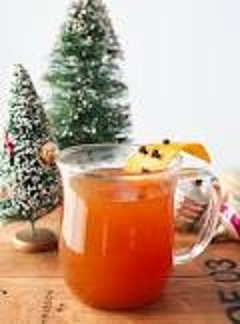 While I’m relaxing tonight, I thought I’d post some recipes that we love to have for our holiday dinner..no matter which one you celebrate! Our weather here has been so so…pretty gloomy, quite a bit of rain, and quite warm..or really cold. I’d love to see some snow. We have had a night or two of flurries but nothing sticking yet. 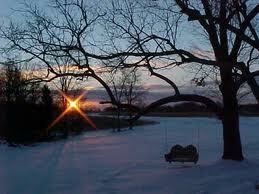 I’m so anxious to see a good amount of snow on the ground! I’m sitting by the fire tonight, having a glass of wine, and dealing with some emotions from a sad day. One of my sisters…a Witch sister..suffered the loss of her dear husband yesterday. My heart is broken for her… as are the hearts of All of her circle of friends. We are sad for her, worried for her and want so badly to be there for her. Such a helpless feeling when there is distance between our homes. But there is no distance between our hearts and our love for her..and we are sending her love, comfort and strength to help her through this very sad, difficult time. Blessed Be Cheryl. I love you. So, to move on with the recipes. I’ll start with my Winter Solstice altar recipes…I especially love these! Many of my favorite scents are during this time of year. Pine, Cedar, Orange, Cinnamon, Clove….yummy! I’ll be making these up soon to enjoy at my altar! Ok..on to the good stuff for your Santa belly! 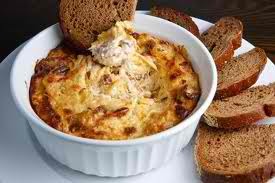 *The “cooked” eggs make this a safer dish from the raw eggs version. 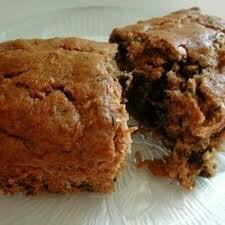 Also…if you like…use 1/2 light rum and 1/2 spiced rum for an even better treat! 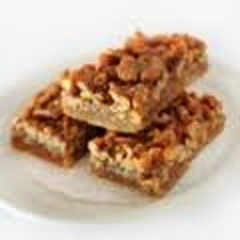 *A family favorite..we make them often and often double the batch! Mix all ingredients well and form into meatballs..cocktail sized. Place on a jelly roll pan or 2- 9″ x 13″ baking dishes. Blend together. 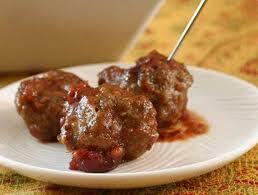 Pour over meatballs. Bake at 350* for 30 mins. 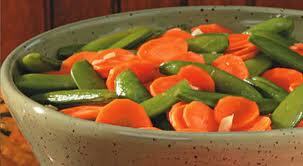 * I then put these in a warm slow cooker for serving. This ham recipe beats the honey hams you go buy! *So easy and So good! Grease a 9″ x 13″ baking dish. Layer potatoes then cheese, then potatoes and cheese again. In a small saucepan, melt butter into whipping cream, stirring so it won’t burn and mix well. Pour over potatoes and cheese layers. Bake at 350* for 45 mins or until cheese is melted and browning a bit. Mix together 2 cups gingerbread mix and water until smooth; set aside. Stir together remaining gingerbread mix and brown sugar. Cut in 1/4 cup butter until mixture is crumbly. Stir in pecans and set aside. 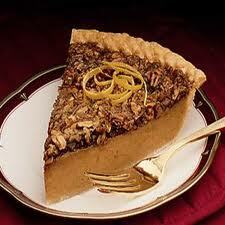 Combine pie filling and remaining 1/4 cup butter in a large saucepan; cook, stirring often, for 5 mins over med heat. Spoon apple mixture evenly into a greased 11″ x 17″ baking pan. 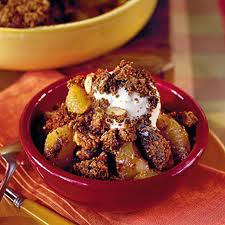 Spoon gingerbread mix over apples, then sprinkle with pecan crumb mix. Bake at 375* for 30-35 mins. Serve warm with ice cream! Yummy!! 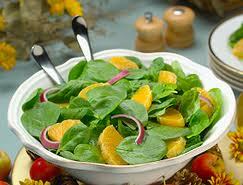 Be sure to add lots of fresh veggies and fruits or a salad to round out all the rich, spicy foods. 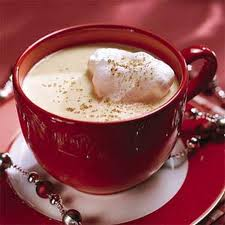 Finish off with a delicious coffee with Baileys!! You won’t find that all of these recipes contain something from the list of correspondences for Yule. But many of these, as I said, are family favorites I wanted to share. At my house, we split up the dishes..everybody brings something..so it’s a lot less work for me and I have more time to enjoy the day! One thing to remember when you are so busy cooking….is to take the time to put lots of intention into your cooking. Put love, joy, abundance, harmony, peace and goodwill into your dishes. Throw in your favorite spices to add the magickal elements you can draw from them. Put on holiday music or your favorite holiday movies. Dance, sing, talk with family, have a glass of wine or eggnog. Keep it simple and you will enjoy it too. Your family will love your efforts and everyone will enjoy the good food! Happy Cooking!! Sources: My recipes, some from the internet. Pictures from the internet. I have been busy gathering recipes for about a week now to post here on my blog for you all. I can vouch for several of these recipes as I’ve made them or made them often! The potato soup picture and the apple pie pictures are from my own kitchen, my own camera and what I spent the day making today! 🙂 You will love both of them..I promise! *This is a personal favorite of mine..and I always make a large amount! If you can’t find Hyssop..just leave it out or substitute for something else….Try allspice or Star anise to keep with the spicy scent..or add pine or cedar! 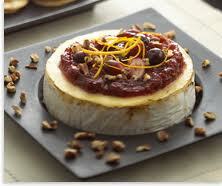 Stir together cranberry sauce and next 3 ingredients; spread mixture evenly over top of Brie. Sprinkle evenly with pecans. Bake at 500* for 5 mins. 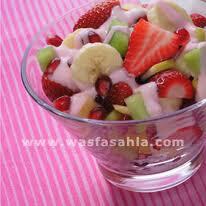 Serve with assorted crackers, apple and pear slices. 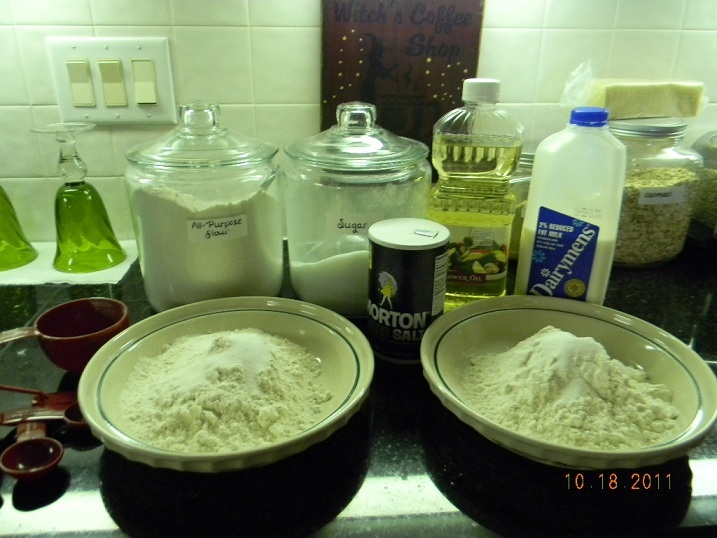 Combine flour and the next 7 ingredients (flour through cloves) in a large bowl; make a well in center of mixture. 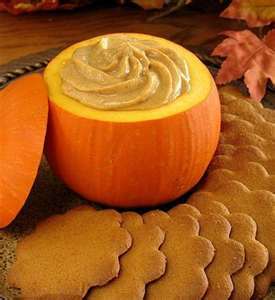 Combine sugar and the next 5 ingredients (sugar through pumpkin) in a bowl, and stir well with a whisk until smooth. Add to flour mixture, stirring just until moist. 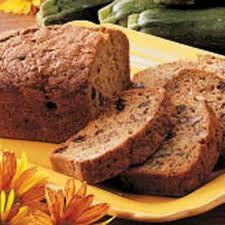 Spoon batter into 2 (8 x 4-inch) loaf pans coated with cooking spray, and sprinkle with walnuts. Bake at 350º for 1 hour or until a wooden pick inserted in center comes out clean. Cool loaves in pans 10 minutes on a wire rack; remove from pans. sprinkle a little natural sugar on the top. Cool loaves completely. 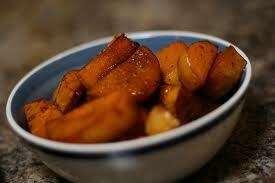 Bake sweet potato at 350* for 1 hour or until tender; cool slightly. Peel and mash; and cool. Combine flour and sugar in a medium bowl. Cut shortening and butter into flour mixture with a pastry blender until crumbly; add mashed sweet potato and milk, stirring just until dry ingredients are moistened. Turn dough out onto a lightly floured surface, and knead 3 to 4 times. Roll dough to ½ inch thickness; cut with a 2 inch biscuit cutter. 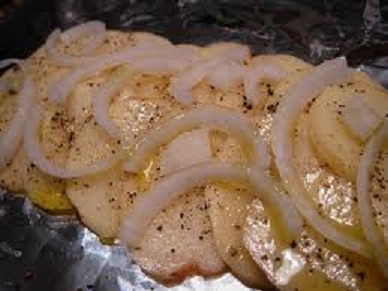 Place on a lightly greased baking sheet. Bake at 400* for 15 mins or until golden brown. 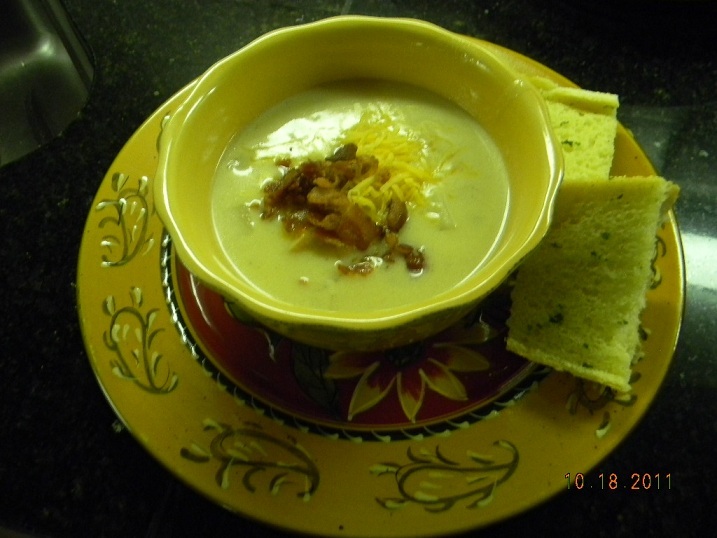 *These are great with my potato soup! 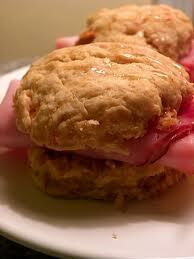 You can slice them, add country ham and honey and they make delicious sandwiches on their own or with the soup! *Got this from my daughter and it’s probably one of the best and easy soups I’ve had! Put all ingredients in crockpot..cook for 8-10 hours on low. 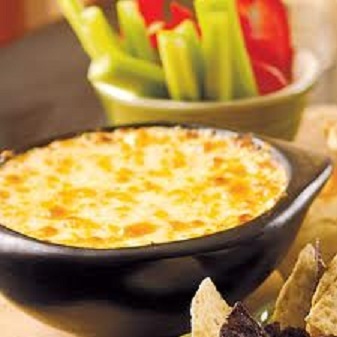 *Great topped with shredded cheddar cheese, bacon crumbles and crackers! Place acorn squash halves cut side down in a greased 13” x 9” baking pan. Bake at 350* for 30 mins. Combine remaining ingredients. Turn squash over and fill with apple mixture. Bake, uncovered, for another 15-30 mins until squash is soft when pierced with a fork. Serves 4. Ok..so Halloween is after all about the “sweet” treats too…so these are some favorite recipes just for the sweet toothed! In a small bowl, dissolve gelatin in boiling water; stir in cold water. With a meat fork or wooden skewer, poke holes in cake about 2 in. apart. Slowly pour gelatin over cake. Refrigerate for 2-3 hours. For frosting, in a small bowl, cream butter until fluffy. Beat in the confectioners’ sugar, cocoa, milk and vanilla until smooth. 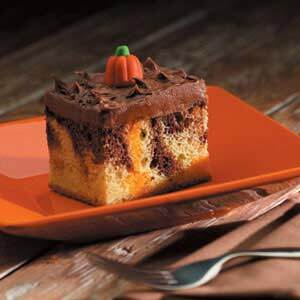 Spread over cake; top with candy pumpkins. Cover and refrigerate until serving. Makes 12-15 servings. In a large bowl, cream butter and sugar until light and fluffy. Beat in eggs and molasses. Combine the flour, baking soda, cinnamon, ginger, cloves and salt; add to creamed mixture and mix well. Chill overnight. Shape into 1/2-in. balls; roll in sugar. Place 2 in. apart on ungreased baking sheets. Bake at 375° for 6 minutes or until edges begin to brown. Cool for 2 minutes before removing to a wire rack. Beat cream cheese in a large bowl until smooth. Beat in pumpkin pie filling. Add the sugar, cinnamon and ginger and mix well. Serve with cookies. Store leftover dip in the refrigerator. Makes about 20 dozen cookies and 3 cups of dip. Ok, those of you who are my facebook friends, Know that I think this is the best apple pie I’ve ever had! Try it..let me know what you think!! In a food processor bowl, mix the first 6 ingredients. 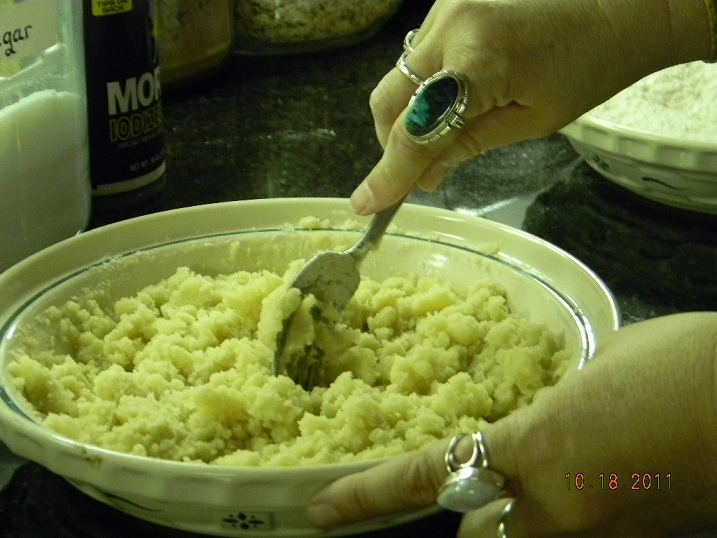 Add the butter and process until the mixture is crumbly; it should still have a dry look to it..don’t overprocess. 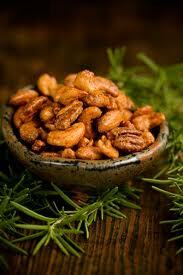 Stir in nuts and set aside. 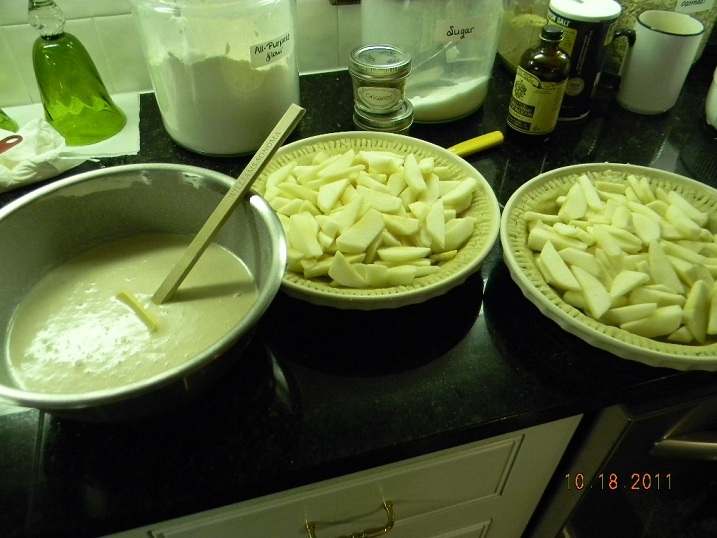 Preheat oven to 350*F. Peel, core and thinly slice the apples; there should be 4 cups. 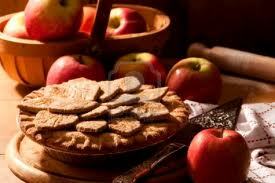 Place the apples in the pie shell. In a small bowl, mix sugar, flour, and cinnamon. Set aside. Beat the egg in a medium bowl, and add the cream and vanilla. Add the sugar mixture to the egg mixture and blend. Pour over the apples. Bake for 1 hour in the lower 1/3 of the oven. After 20 mins of baking, sprinkle the streusel over the top of the apples and continue baking approximately 40 mins longer, or until the top puffs and is golden brown. Ok..you can of course just buy a pie crust ready made and there is nothing wrong with that at all. However…I have a great recipe for a Pat-in-the-Pan crust that is easy and awesome! It will fit an 8” or 9” pie pan. You’ll love it!! It is flaky and delicious! 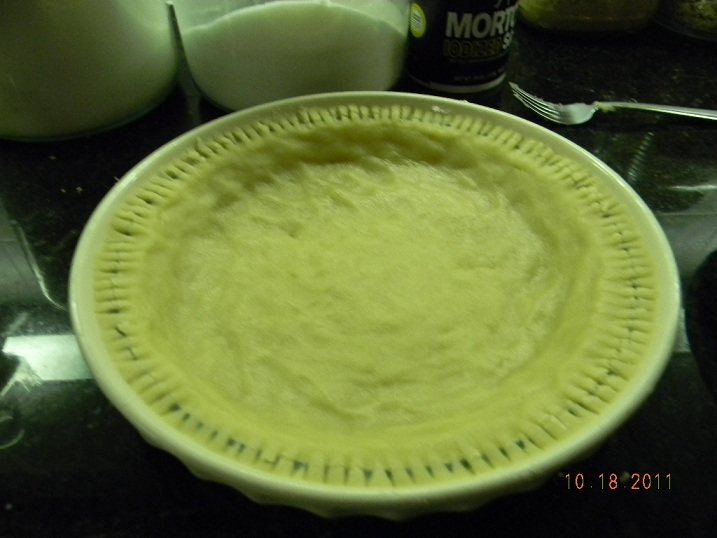 Place the flour, sugar and salt in the pie pan and mix with your fingers until well blended. In a measuring cup, combine the oil and milk and beat with a fork until creamy. Pour all at once over the flour mixture is completely moistened. Pat the dough with your fingers, first up the sides of the plate, then across the bottom. Flute the edges. 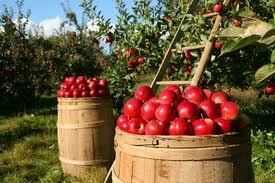 It’s now ready to be filled with the apples! I hope that you all enjoy All the recipes. For me, Autumn and Winter are the best times of the year for cooking good, warm, comfort foods and to bake to your hearts content! My family so appreciates my efforts and I put lots of magick into my cooking and baking to bring love, abundance, peace and joy into my home. Well, I’m off to finish my piece of pie, to listen to the rain, and read for a bit. 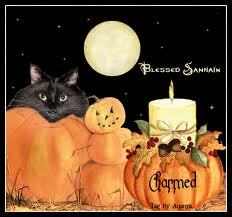 I’ll post a favorite Samhain ritual and my altar pics soon! Until then, I hope you are enjoying this magickal time of year to the fullest! Sources: My recipes or from my cookbooks, pictures are mine or from the internet. Merry Meet my friends! We are having a beautiful sunny and HOT day here in Ohio. This morning it was really quite lovely..not too hot yet..I went out and watered the gardens and just had a cup of coffee and listened to the birds for a bit. Here we are past 4th of July already and for me Summer seems to be going quite fast. I am..yes..already thinking about Autumn..as it’s my favorite time of year…as those who know me already know that 🙂 Lughnasadh or Lammas is approaching quickly also. I have my altars to do, some bread baking to do, I want to make some herbal oils and vinegars also. I plan on making rosemary infused olive oil to use on salads and to marinate meats etc. It’s delicious and I can use my own rosemary thats growing in my own pots. Ok..on to the recipes…I always like to post my magickal recipes for Sabbat oil and loose incense first…so here is the recipes for those…. *If you can’t find these oils..just substitute for other scents you like…you can use my Correspondence to find other scents that are great for this Sabbat! Ok, now on to the stuff that is Yummy for our Tummys! Remember that this is the first Harvest Festival..so you want to use lots of your fresh veggies from your gardens..start thinking about Autumn and apples and pears …warm breads from the ovens…late summer squash etc. 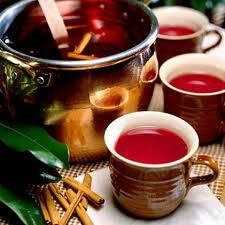 Warm up all the ingredients except the rum…add the rum at the very end so that you don’t cook away the alcohol…. (that would be very sad)…This makes enough for several mugs….enjoy! Place oats, honey, butter, and salt into a large mixing bowl. Pour 2 cups of boiling water over them and stir well. Stir in 2 cups of flour. While this mixture cools, dissolve the dry yeast in 1/4 cup of 90-degree water. After about 10 minutes, stir the yeast mixture into the oat mixture, mixing thoroughly. Stir in 1 cup of pecans. Work in 2 cups of flour. Turn the dough out onto a floured board, and with floured hands, knead the dough for 8 – 10 minutes. Keep enough flour on the board and your hands to prevent the dough from sticking. Place the dough in a greased bowl and cover it with a damp cloth. Let the dough rise in a warm, draft-free place for 1-1/2 hours, or until it has doubled in bulk. Punch the dough down, and turn it out onto a floured board, this time kneading it for about 5 minutes. Shape the dough into two equal-sized loaves, place them in two greased loaf pans. Let the loaves rise, covered with a damp cloth, in a warm place until they have doubled in bulk, about 1 hour. Bake in a pre-heated 375-degree oven for about 45 minutes. Turn out onto wire racks to cool. Let loaves cool completely before wrapping to store. Preheat oven to 400 degrees F. Spray or lightly grease a 9 inch round cake pan. 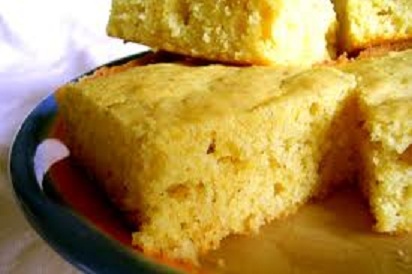 In a large bowl, combine flour, cornmeal, sugar, salt and baking powder. Stir in egg, milk and vegetable oil until well combined. Pour batter into prepared pan. Bake in preheated oven for 20 to 25 minutes, or until a toothpick inserted into the center of the loaf comes out clean. In a small skillet, melt butter. Add sugar, salt, pepper and water and stir til smooth. When it’s bubbling, add walnuts and stir until well coated. Cook for about 5 minutes until walnuts are carmelized. 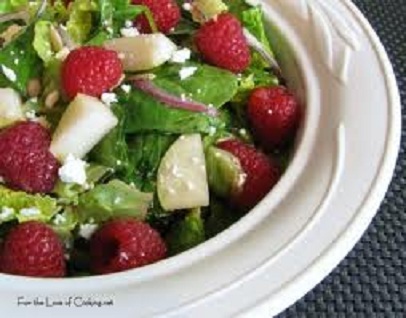 Set aside and cool before putting on salad. Whisk honey and vinegar until until smooth. Add oils and stir until creamy. 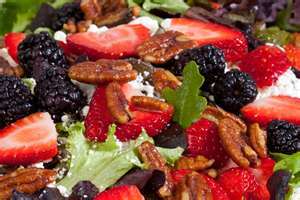 Mix Salad ingredients together into large salad bowl. Add walnuts. Then toss in dressing. Mix above ingredients together and place in a greased casserole dish. Sprinkle with paprika. Bake at 325* for 30 minutes or until bubbly. *Great with grainy crackers, veggies etc. *I think this would be really great with rosemary instead of basil or cilantro! 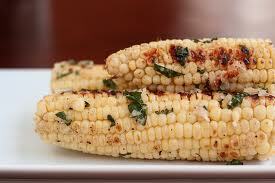 With cilantro, you can squeeze some lime juice on the corn as well…yummy! I’ll be trying that soon! Using heavy tin foil, tear off however many pieces you need, one for each person, and enough to make a rectangular tin foil packet. Place on a med temperature grill and cook for about 30 minutes..until everything is soft. Really fresh and delicious. Wash grapes and remove any stems, and set aside. 1 21 oz can apple pie filling * I see no reason why you can’t just thinly slice fresh apples and sprinkle a little sugar on them for this recipe. Preheat oven to 375*. In a large bowl, combine flour, oats, sugar, baking soda and salt; cut in butter until crumbly. 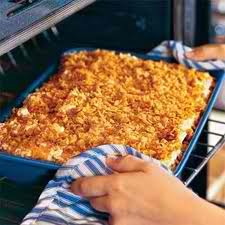 Reserving 1 1/2 cups crumb mixture, press remainder on bottom of a 13″ x 9″ baking pan. Bake 15 mins. Add walnuts to reserved crumb mixture. In a heavy saucepan, over low heat, melt caramels with condensed milk, stirring until smooth. 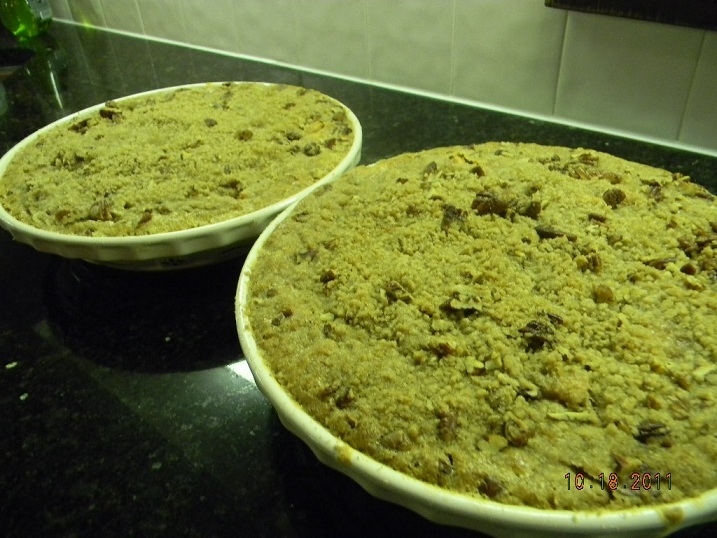 Spoon apple filling over prepared crust, top with caramel mixture, the top with reserved crumb mixture. All of these recipes either sound delicious..or I know for a fact they are ….as they are from my own kitchen! Many of these will be just as wonderful in November as they are in August. Let me know if you try any..I’d love to know if you did. When I do research online, I often find the very same recipes posted on hundreds of websites or blogs…for my own feasts, I prefer to come up with my own recipes that make sense to me..that work for the season …that are fresh and delicious etc. Use mine or use your own from your own recipe box..you can’t go wrong. There is nothing less magickal about doing that then using the recipes everybody else is doing. Make what YOU like! 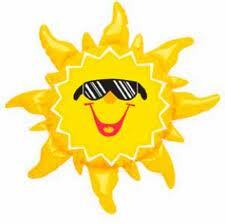 I’ll post a ritual and my altar pics soon..until then, continue having a beautiful summer….make the most of it! Merry Meet friends! I hope you are all having a wonderful Spring so far. Our Spring has been on of the rainiest ones I can remember in a long time. Cool weather and rain and gloom much more then sunshine this year. 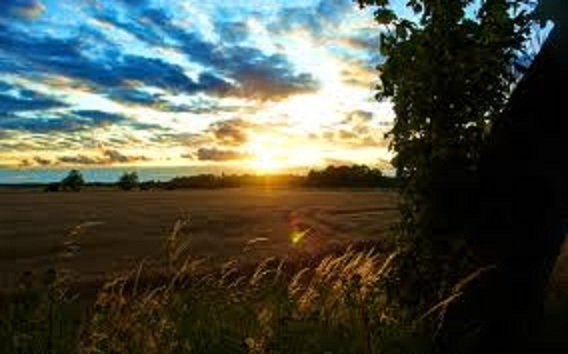 But the last 3 days have been sunny, summer-like and wonderful! I have soaked it up as best I can. Its the kind of weather you want to sit on the porch, work in your garden, take a walk, go get ice cream, read a book under a shady tree, watch the sun rise with a cup of coffee, and watch it set with a glass of wine. I love this weather. Tonight though, the storms came back and the next few days it’s going to rain again. I don’t really mind the rain as I’m going to be very busy. My grandson, Charlie Matthew, is going to be born sometime tomorrow! My daughter will be induced early in the morning..doc says it’s time and so does Kate. I can not wait to hold the little guy in my arms, see what he looks like, pray that he is healthy, and welcome him into our family. We feel so blessed and we all can’t wait for Lily to meet her new little brother. I pray to the Goddess for an easy delivery and a healthy, bouncing baby boy. We are all so excited! 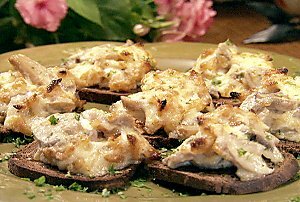 I was thinking about Summer and decided to go ahead and post my recipes for Litha tonight for you. Remember in my Countdown to Litha post..I talked about the correspondences for food for the Solstice. Fresh fruits…especially citrus and in-season fruits, all vegetables, summer squash, honey, fresh herbs like thyme and lavender, pumpernickel bread, ale and mead were all on the list of yummy foods that represent Litha. I found and have some wonderful recipes ..hope you like them! Add the berries and mint to a glass pitcher and smoosh (LOL yes that is a term ) with a wooden spoon. heat until the sugar dissolves. Pour over the strawberries. 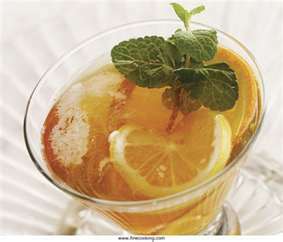 Stir in the lemon juice and fill the pitcher with the remaining water. Chill or pour over ice and serve. Mix ingredients well except for bread. Spread mix on bread slices. Bake at 350* until Mixture is brown and bubbly…. oranges and onions and season with salt and pepper. Top with hazelnuts. *a bottle of italian or greek dressing or homemade if you have it. Mix all ingredients well. You may have to add more dressing after it has chilled as pasta will absorb it. 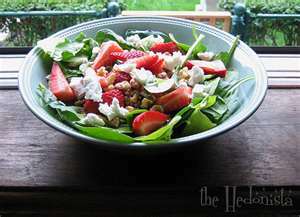 *this is a light and delicous salad..a favorite at our house! 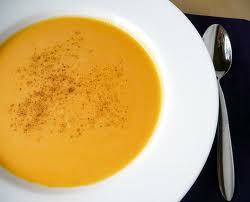 In a large bowl combine all ingredients and mix to coat the squash. 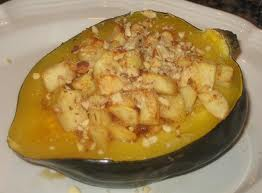 the squash is tender and brown about 30 to 35 minutes making sure to turn the squash after 15 minutes. Wash the chicken and pat dry; cut diagonal slits across the chicken breast (about 1/4-inch thick), this allows the marinade to penetrate the meat; place into a resealable plastic bag. Combine all marinade ingredients in the bowl of a food processor and pulse until smooth. Pour the marinade into the plastic bag with the chicken and seal, removing as much air as possible. Let sit in the fridge 1 hour. Preheat the grill to the medium setting; spray the grill grates with cooking spray (while standing back!). Put the chicken on the grill; cook for roughly 15 to 20 minutes, flipping once; chicken is done when juices run clear. three baking sheets or line with parchment paper. In a large bowl, whisk sugar and eggs to a light lemon color; stir in honey, vanilla extract, orange zest, and lavender blossoms. Sprinkle dry ingredients over the egg mixture; fold in until the dough is just combined. To shape the dough into a log, lightly sprinkle flour on the work surface, on top of the dough, and on your hands. Use just enough flour to form the logs and to prevent sticking; you don’t want the logs to be covered with flour. Divide dough into six equal pieces. With your hands, pat and shape each piece into a loaf approximately 3 inches wide, 7 inches long, and 3/4-inch high. Place two rolls onto each prepared baking sheet with 3 to 4 inches of space between them. Bake 25 minutes or until dough pops back up when lightly pressed with a finger. change color during the second baking, so poke them to tell if they’re done. minutes on a wire rack. 1/2-inch thick slices. Turn the slices over, onto their sides; return slices, on baking sheets, to oven. Bake another 15 minutes. NOTE: Do not crowd the biscotti slices on the baking sheet for their second baking as they need the hot air to circulate to enable them to crisp up evenly. 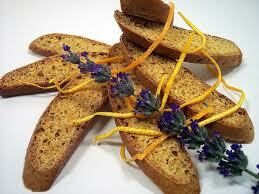 Remember biscotti will continue to crisp up, as they cool, so do not be tempted to over bake. Remove from oven and cool completely on wire racks. Store biscotti in an airtight container. They will keep well for a few weeks. *These are not quite as complicated as they sound..and worth the effort 🙂 You’ll love them! All these recipes are so summery, fresh, some are very healthy and full of good stuff from the garden and all the foods suggested for Litha. Now obviously you may not fix all of these THAT day but you will want to make all of them at different times over the Summer. 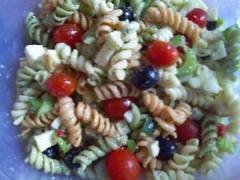 The pasta salad is great with burgers and corn on the cob. The Summer squash great with the chicken. 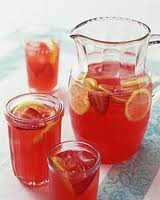 Have your girlfriends over for strawberry lemonade, mini tea sandwiches, fruit salad and honey-lavender biscotti. Add grilled chicken to the orange -spinach salad and you have a meal right there 🙂 Yummy!! Make your Summer Solstice extra special this year by serving up fresh, light food for your family! Bon Appetit! *Sources..my kitchen and the internet. All pics from the internet. Merry Meet friends. Hope you are having a good week so far. After warm Spring-like weather, the rains came in! It rained ALL day on Monday…dark and gloomy and wet! Then it turned cold, the rain turned to sleet and ice and then to snow. Luckily the snow wasnt’ heavy and went away quickly. However, winter is most definitely back but it is still February after all. Here in Ohio winter lingers long indeed. LOL. So I’m sitting by my fire again tonight, candles lit, incense burning, and I’m crocheting a shawl for a friend and relaxing after a busy day. 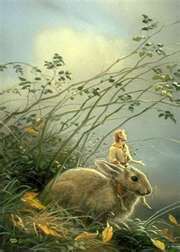 Ostara is coming before we know it so my thoughts are turning towards the celebration. I thought I’d post some recipes here….both for magick and for your dinner table. First, I have a recipe for an Ostara oil blend and an Ostara loose incense blend. Both of these magickal scents smell so great..you’ll love them! 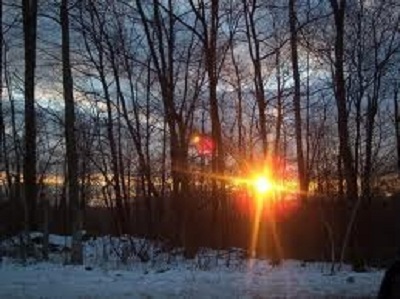 Now for your dinner table…if you read my previous post about Ostara correspondences, you’ll see that these recipes are perfect for the day or the week of this beautiful Sabbat. Eggs of course are a must! 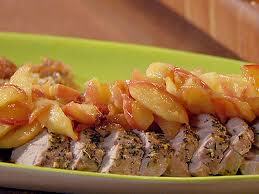 Here is a couple of my own recipes I think you’ll like. 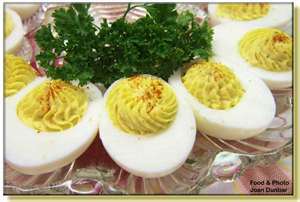 “Deviled Eggs” are always on our holiday table and mine get rave reviews and a “must bring” so here is the recipe..kind of. I am one of those people who just throw things together until it tastes right..but I’ll get as close as I can. Place eggs in a saucepan with COLD water to cover plus 1 inch. On medium-high heat, bring the eggs to a low boil. Turn off heat and cover. Let stand for 20 minutes. Then drain off hot water and immerse in ice cold water to cool. This cold water method makes perfect boiled eggs. Also, a little hint. You want your eggs to be a few days old. The newer the egg, the harder it is to remove the peel. Halve the eggs lengthwise. Remove the yolks, place them in a small bowl, and mash them with a fork. Add all ingredients except paprika. Mix well. Now to make really pretty eggs, I use a frosting bag with a tip to put the yolk mixture into the whites. Or you can cut a little hole in the corner of a plastic bag and pipe in the mixture that way. Very pretty and neat. Sprinkle with paprika if desired. Makes 24 appetizers. Place ½ of the bread cubes in a greased 13” x 9” baking dish. Top with ½ cheese. Then all the sausage, then the rest of the bread and top with remaining cheese. Blend the rest of the ingredients well. Pour over casserole. In the morning, Bake uncovered at 350* for 1 hour or until top is brown and bubbly. 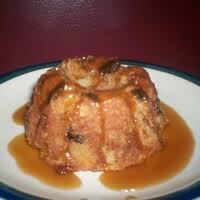 *I serve this with a fresh fruit salad and warm muffins and the Applewood Julep…YUMMY!! Ok..as I said here…this goes great with an Applewood Julep. The Applewood Restaurant in Sevierville, TN is a favorite restaurant of ours for down home cookin. 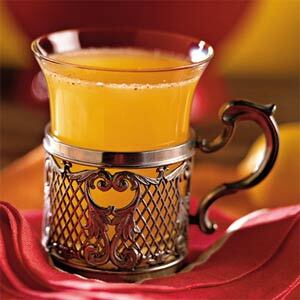 When you go there, you get a glass of this delcious refreshing juice with apple fritters and apple butter! Divine!! 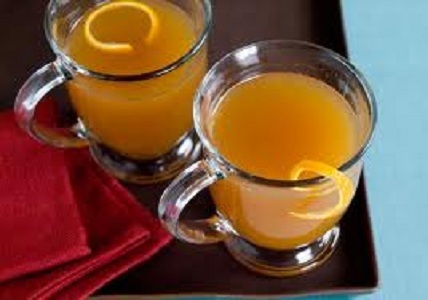 You will need to make a double batch of this juice..guarenteed! Combine ingredients..Serve chilled. Garnish with mint. Great over ice as well. Sweet breads was on the list of foods that correspond to Ostara. There is nothing more traditional for this time of year then Honey Cakes and Hot Cross Buns. 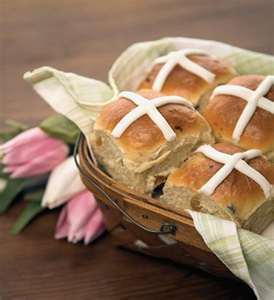 The Hot Cross Buns are started out in your bread machine..easy peasy and the Honey Cakes are easy and sweet as well! Measure carefully, placing all ingredients except raisins, the 1 egg, the cold water and the white icing in bread machine in the order recommended by the manufacturer. Add raisins at the raisin/nut signal. Grease cookie sheet or 2 round pans, 9 x 1 ½ inches. Divide dough in half. Divide each half into 8 equal pieces. Shape each piece into a smooth ball. Place 2 inches apart on cookie sheet or 1 inch apart in pans. Snip a cross shape in top of each ball, using scissors. Cover and let rise in warm place about 40 minutes or until double. Heat oven to 375*. Beat egg and cold water slightly; brush on buns. Bake 18 to 20 minutes or until golden brown. Remove from cookie sheet to rack. Cool slightly. Make a cross on bun with White Icing. In a large bowl, mix together the first 3 ingredients. In a separate bowl, combine the flour, baking powder, spices and baking soda. Add the flour mixture to the wet stuff, alternating with the coffee; beat well. Pour into a greased 9″x13″ pan (or, alternatively, three 8″ square pans). *Just watch for it to be spongy and golden brown. Ok…now Ostara is all about Spring and longer days and our thoughts turn to our gardens and fresh fruit and vegetables. This salad is exactly what you need to serve. It has all the good stuff! Use the berries that are in season for the best flavor. I’m going to stop there for now. I have a friend who is passing on a lamb recipe and I have a delcious parmesan whitefish recipe I want to share, and a great strawberry cake recipe! 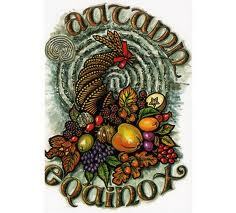 You will then have all you need to have give your family and friends a lovely Spring meal on Ostara. Have your family over for a delicious brunch while you color eggs and have an egg hunt with the kids. It’ll hardly be any work at all as you can make the juice and the breakfast casserole the day before. To really celebrate the day, after breakfast, go for a walk on a nature trail. Collect stones and look for flowers starting to bloom and see what birds you can identify and see if the trees are budding yet? After the family is gone, enjoy a glass of wine and pull out your seed and garden catalogs and magazines. Dream of being outdoors feeling the warmth of the Sun, the blue skies, the taste of fresh veggies and herbs from your garden. 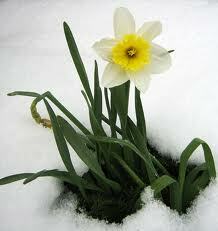 Ostara is the promise of Spring…so Enjoy!